With the demand for better graphics increasing each time a new game comes out, companies are striving to stay at the top of the charts with better, faster hardware. While most single core processors used to cut it for games like Doom and D&D, even the dual cores are being hard pressed with new games. Crysis, Call of Duty 4, and Half Life 2: Episode 2 are some of the most demanding games out on todays' market. Why have two cores when you can have four? 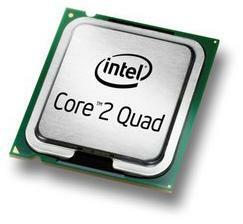 With this in mind, Intel creates one of their newest, most successful chips, the quad-core Q9650. With a blazing 3.00GHz CPU speed, and a whopping 12MB of L2 cache, this chip is a real monster! RAWRRR!